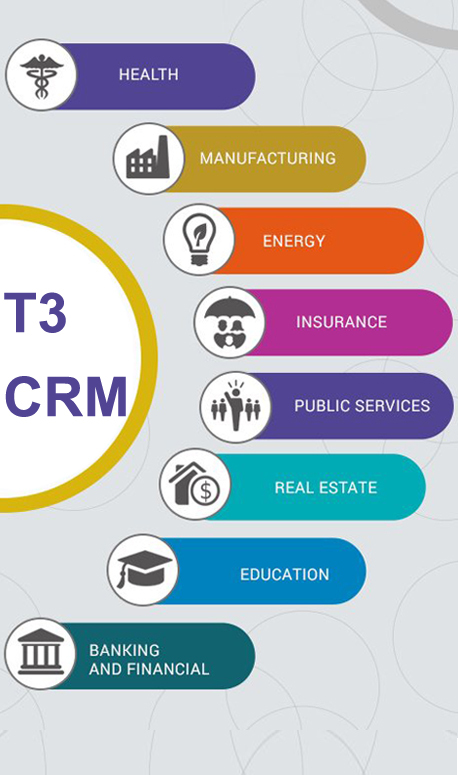 T3 CRM Closely Review your business processes and workflow in order to define and give you a customized CRM Software requirements,solutions and end to end development cycle,which will helps you to get a 360 degree view of your business organisation.At T3 Softwares we understand your business logic and also gives our client with specific made CRM solutions . Integration - Integrates with other leading software systems. Customization - Customize forms, fields, reports to suit your business. Reports - Business Intelligence Reports & Customized Reports. One platform for your team to collaborate,meet requirements,assign task. One platform to sell, deliver and support customers for higher qulaity lead generation. Gets Web + Mobile view of the software at same time.